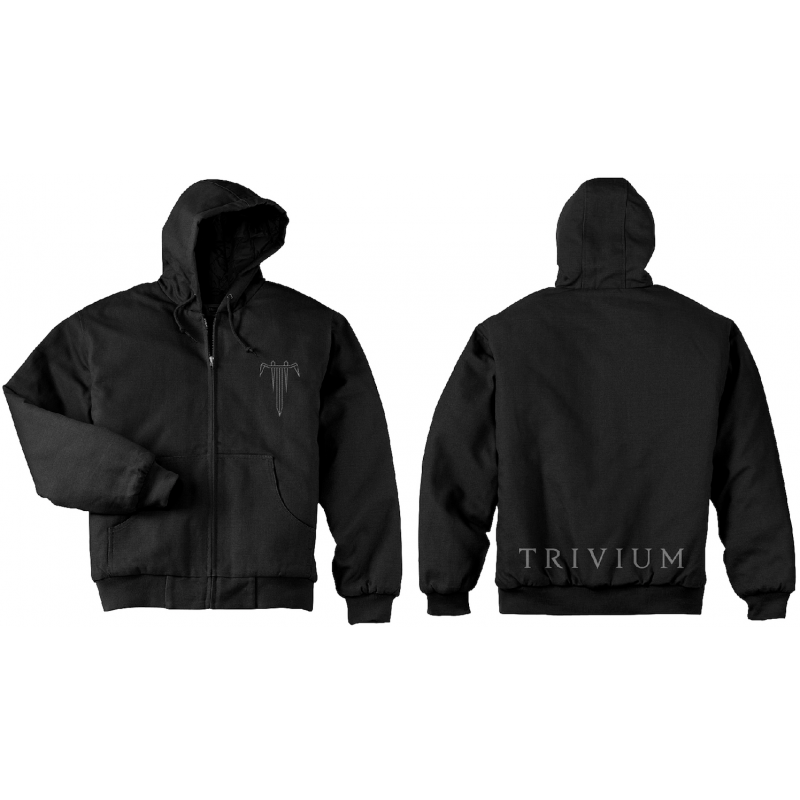 This custom Trivium jacket is printed on an authentic CornerStone® Washed Duck Cloth Insulated Hooded Work Jacket features a brushed, quilted lining and insulation throughout to keep you warm and comfortable as you tackle the winter. The enzyme washed duck cloth shell gives you a worn-in look without sacrificing durability. Care Instructions: Machine washable, tumble dry medium.